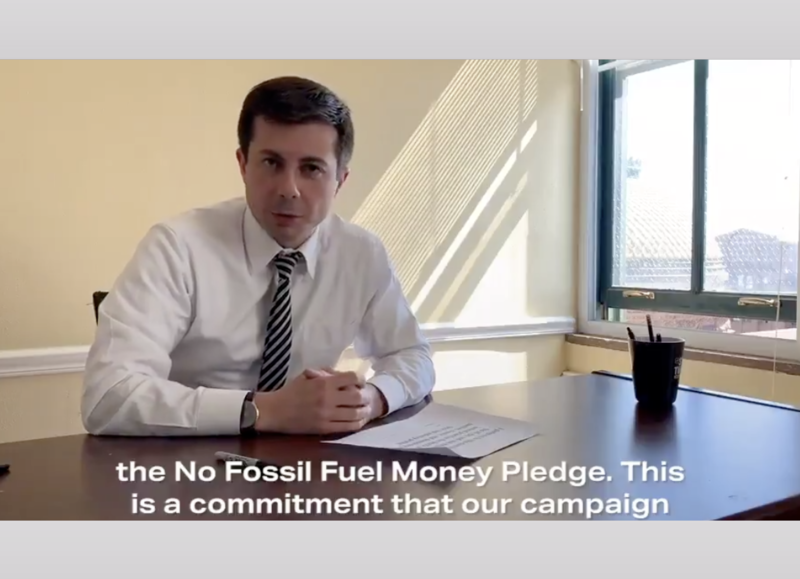 Response to Pete Buttigieg Signing the No Fossil Fuel Money Pledge - Oil Change U.S.
“We applaud Mayor Buttigieg for signing the No Fossil Fuel Money pledge. By making this important commitment, he’s shown the courage to stand up to the fossil fuel industry and say ‘no’ to their influence on our democracy. “With Mayor Pete signing the pledge today, a majority of substantial Democratic Presidential candidates have now pledged to reject money from fossil fuel industry interests. No longer do candidates feel the need to cater to an out-of-control fossil fuel industry wreaking havoc on our climate and communities. With a massive movement calling for bold action, candidates are finally starting to step up and fight for real solutions to our climate crisis.